As always, LeapFrog has some great gift ideas for Christmas! 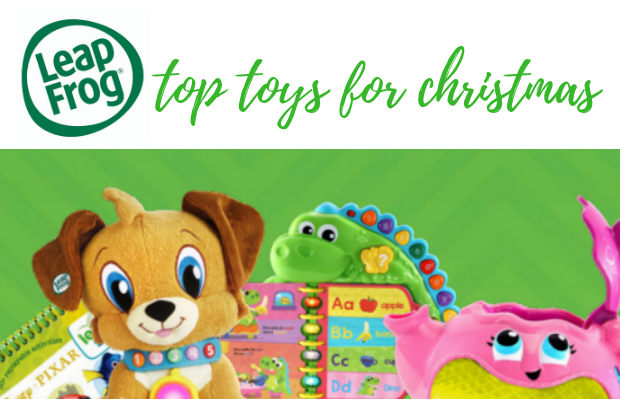 The talented folk at LeapFrog have taken the guess work out of your Christmas shopping, with some truly clever toys that will keep small people engaged and entertained. Using technology in smart ways, LeapFrog toys are created to provide learning moments that are age appropriate, and always have that little something extra! LeapFrog toys are designed by educators and tech experts, to encourage a child’s curiosity and love of learning. You can give more than just fun with LeapFrog. 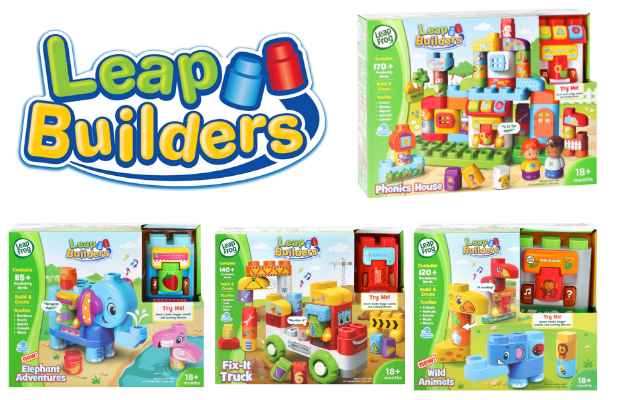 I love the LeapBuilders range from Leapfrog which are blocks that you can build with, but they also talk! Via a selection of SmartStar units, the various LeapBuilders blocks interact and respond. As small people build and create, they also learn and explore. These are not your average building blocks! Unfortunately my three kids have just about outgrown this age group however I have two gorgeous little nephews who are the perfect candidates to road test a couple of items from the fantastic LeapFrog range. 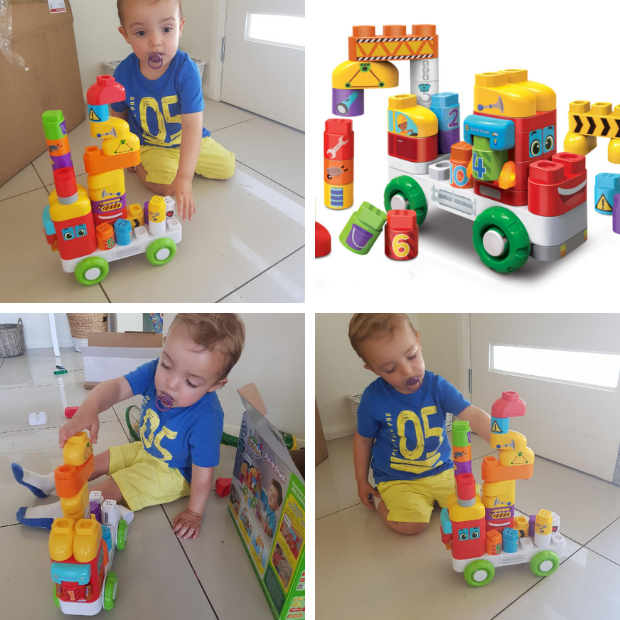 First up we have Little O who is two years old, he has the LeapBuilders Fix-It Truck to try out. With the help of his mummy Little O gave the LeapBuilders Fix-It Truck a thorough road test and the results were pretty good. Little O loves building so the construction element really got his attention. He also loves music and was singing along with the songs and repeating back sentences. Mummy particularly liked how it teaches numbers, fine motor skills and vocabulary. Baby J, my lovely little 5 month old nephew is testing out the Safari Learning Playspace. 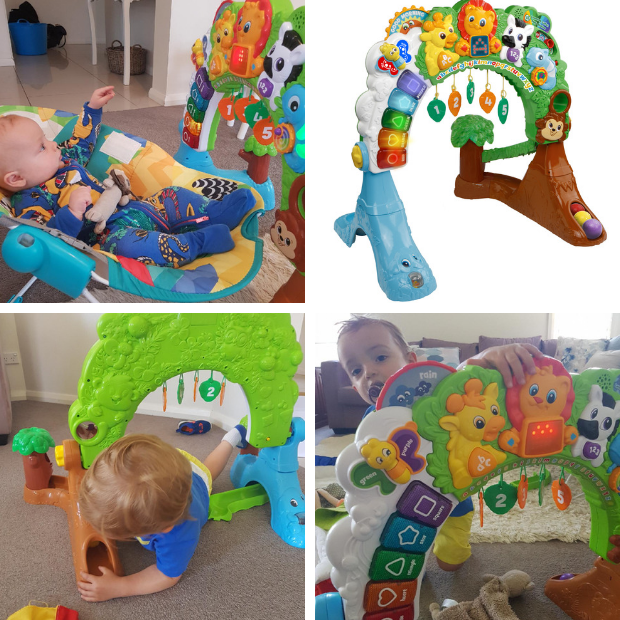 Baby J loves to look at the playstation at eye level in his bouncer or walker, he is intrigued by the giraffe and lion and enjoys listening to the music, smiling and kicking his legs. He also loves watching the lights light up. Mummy loves the Safari Learning Playspace too as it has so many different options for play and learning – numbers, sounds, language and fine motor skills. The adjustable bench is great as Baby J grows, he will get many months of play and learning. This toy has a large age range is also very appealing as little ones find different interests at different ages. Even big brother Little O has spent many minutes throwing the coloured balls through the monkey. Baby J’s Mummy rates the Safari Learning Space VERY highly! So if you are looking for the perfect Christmas gift for the little people in your life, look no further than LeapFrog! For further information on LeapFrog and its products, visit www.leapfrog.com.au , or check out the LeapFrog news on FacebookLeapFrogAustralia and Instagram Leapfrogofficial. To win one of two awesome LeapFrog prize packs visit my giveaway here. Play World – the ultimate kids event! Christmas Gift Guide & Giveaway!